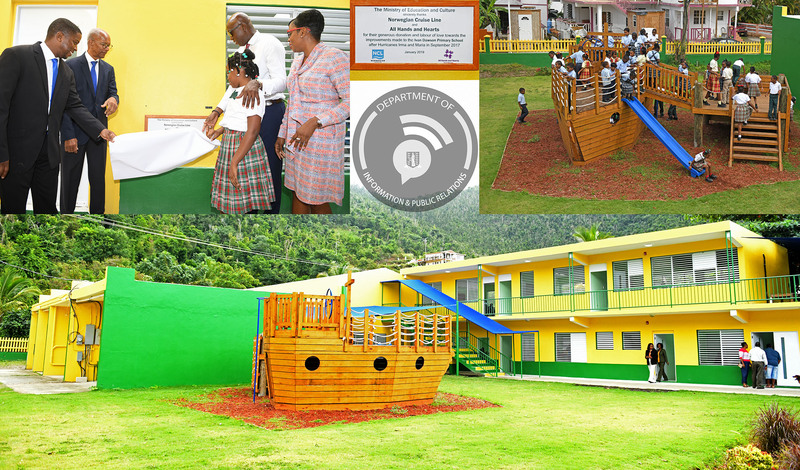 The commemorative plaque was unveiled at the handover ceremony for the Ivan Dawson Primary school on January 31. Government officials, teachers, students and staff as well as those in attendance were delighted to bear witness to the auspicious occasion. Appreciation was expressed to the Norwegian Cruise line and the Non-profit Organisation All Hands and Hearts for their assistance with the restoration of the school.